With the added complexities of compliance and answering to the taxpayer, government institutions face greater printing challenges than the average commercial printer. 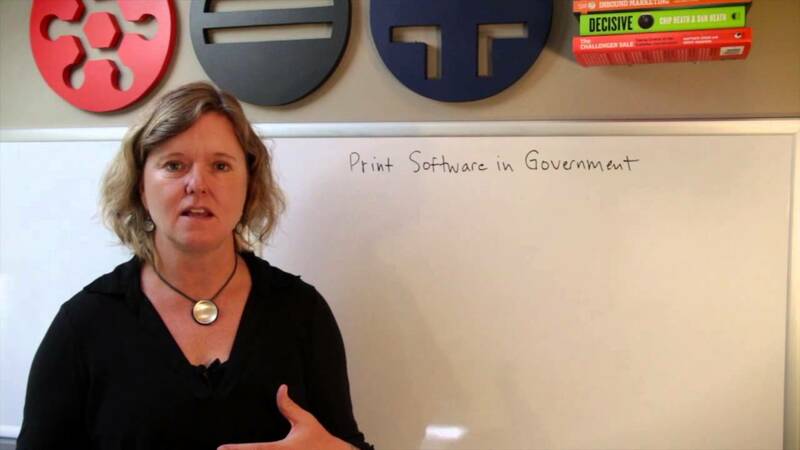 We understand these challenges and can offer specialized insights and strategies for government print software. We help printers enable self-service. We’ve been working with government organizations for the last four years, at all scales, from local governments to the U.S. Department of Defense. We are good partners of our government clients because we understand their realities. They have invested much time and information in providing us context into their organization. And we want them to get their full return on that investment. Web2Print Experts, Inc. is a woman owned small business (WOSB). We are in the process of getting on the GSA Schedule. In 2010, DLA Document Services (formerly DAPS) went out to bid to replace their homegrown web-to-print system with a commercial solution. Web2Print Experts led the bidding process and brought a commercial print solution to DLA. We led the implementation of web-to-print across the 150+ print centers around the world. We customized the solution to meet the unique needs of the US Department of Defense and we integrated the solution into SAP. Today, Web2Print Experts continues to support DLA Document Services as they evolve to meet the changing needs of their community and keep up to date on the constantly changing security regulations of the US government.